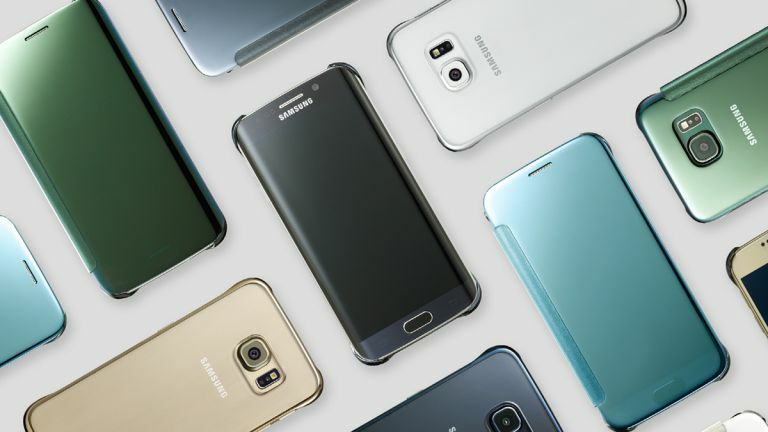 So you've picked up one of the latest and greatest Samsung handsets - either the Galaxy S6 or the Galaxy S6 Edge - and you're wondering what kind of accessories you can pair with it. The good news is there's a wide choice of top-quality kit that works with these flagships. From battery packs to cases, chargers to virtual reality headsets, the popularity of these phones ensures there are plenty of accessories around for them. We've picked out one product from each of the major accessory categories, but there are plenty of alternatives around if you want something different. If you're after a phone cover then there's a wealth of choice out there, both from Samsung and from third-party accessory makers. One of our favourites is Samsung's own S View Cover, as it leaves a truncated window free through which you can see notifications and other important information. Like cases, there are plenty of battery packs to choose from. We've picked the TYLT Energi 2K because it's compact, inexpensive and versatile - it measures 14.3mm x 70mm x 142mm, gives you around six hours of extra battery life, and lets you carry on using your handset (including making calls) during charging. If you're in the market for something a little more unusual (and expensive) to go with your S6/S6 Edge, the Gear VR Innovator Edition is worth a look - it's one of the easiest ways into virtual reality at the moment, and unlike the Oculus Rift you can buy it right now (the Gear VR is actually developed in partnership with the team at Oculus). When it comes to headphones for pumping out your tunes, there's no set that's particularly geared towards the flagship Samsung devices, so you can choose any pair that appeal - go for the look and the feel that suits you best. If you're completely at a loss where to start then we've got plenty of guides to help. One of the headline features of the Galaxy S6 and the Galaxy S6 Edge is the phones' wireless charging capabilities. You don't have to go with a Samsung-branded charger - the phones support both of the major charging standards (Qi and PMA) - but the manufacturer's own device looks the part and is guaranteed to be fully compatible. Samsung makes a bunch of its own smartwatches of course, but we've featured enough Samsung kit already, and any Android Wear device is going to work fine with your S6 or S6 Edge. The model that's most recently caught our eye is the upgraded Moto 360 v2, the improved version of what was already one of the best Google-powered smartwatches.